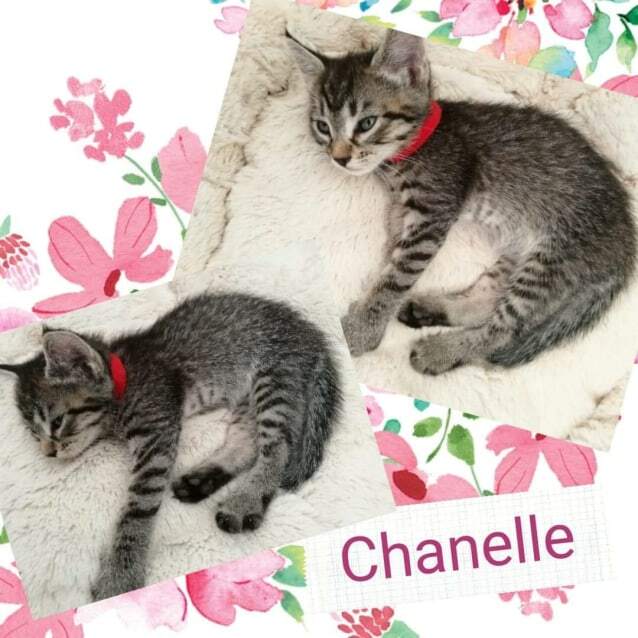 💗 CHANELLE is a lazy little lady that like to chill on your lap and watch TV. She loves belly rubs and lots of attention. She's super sweet with a twinkle in her eye. CHANELLE loves to play with her siblings and be carried by the kids. She's easy going and chilled. CHANELLE is fully litter trained and looking for her forever human.